Dubrovnik is a beautiful city to visit in Croatia, with a bustling port town and a stunning countryside draped with vineyards and oyster bays for great wine and seafood. Dubrovnik is a walled city in the southernmost region of Croatia on the Adriatic. The wall managed to stand the test of time through wars and many occupations. It remained a part of Yugoslavia through World War II and until 1990 when the republics achieved independence, but then they began fighting with each other. Dubrovnik endured war with the Serbs from 1991-1992 and saw serious damage to their city then. They're now fully independent and have rebuilt their city into Croatia's most popular tourist town. Dubrovnik was my favorite stop in Croatia. The Old Town is encircled by a stone wall that houses a large collection of winding marble paved squares, steep hills and meandering walkways. There's churches, restaurants, shops, homes and businesses all comfortably competing for room. The Medieval architecture, Renaissance artwork combined with Gothic styles, made for beautiful sites around every turn. Sadly, or not, Dubrovnik has been the backdrop for many scenes from Game of Thrones. They give tours and have shops now with Game of Thrones merchandise. I will admit that I wanted to see where the horrible "Walk of Shame" took place, but I just hope the GOT-mania doesn't take over this beautiful place. 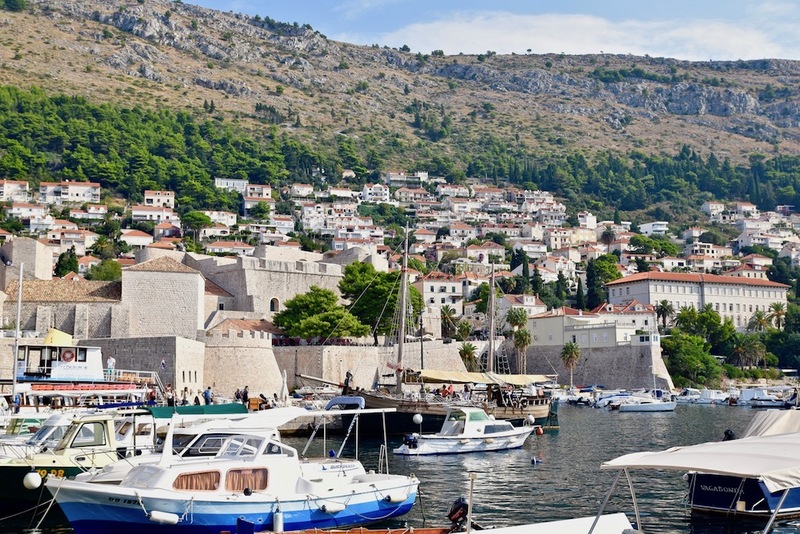 I highly recommend a ride out to Ston and the Peljesac Peninsula to see more of Dubrovnik and to taste some of their local delicacies like wine and oysters. The countryside is stunning. Small islands and bays are scattered on one side and empty rolling hills are on the other. For the most part, it's very quiet, which makes it even more special. We drove through the little town where Grgich, the renowned winemaker, lives. It was humble, simple and spectacular. It, along with many other spots around the Peljesac Peninsula, made you say, "yeah, I could see living here about 6 months out of the year." Ston is about an hour's drive from Dubrovnik's old town. It has some unbelievable, still-in-tact walls, that once served as a military fort. The wall stretches 3 miles to Mali Ston where there's a small, picturesque bay to stop and get super close to the local oysters. There's a restaurant in the bay called Bota Sare where you can go out in a boat to see how they harvest mussels and oysters. The oysters take 3-4 years to grow. To ensure they get enough to eat and to increase their survival rates, the fishermen, take 2 oysters shells and glue them back to back on a large rope. GLUE them. This allows more food to come through and hopefully better protects them from other predators in the water. Who knew, right? Maybe don't balk at those oyster prices next time. Mussels take 1-2 years, but can be grouped in nets, so aren't quite as cumbersome and time consuming as oysters. I hadn't had a raw mussel before, and have to say they weren't bad. The oysters though, were spectacular. I had never had quite as fresh of an oyster as I did while visiting Croatia. It was less than a minute from line to my mouth. The water in Mali Ston has fabulous salinity, making for a great water to salt balance. The local Croatian white posip, goes down super easy with the oysters and you may not ever want to leave, but there's more wine to be had. We visited a newer, modern winery Saints Hill, which was surprising in so many wonderful ways. 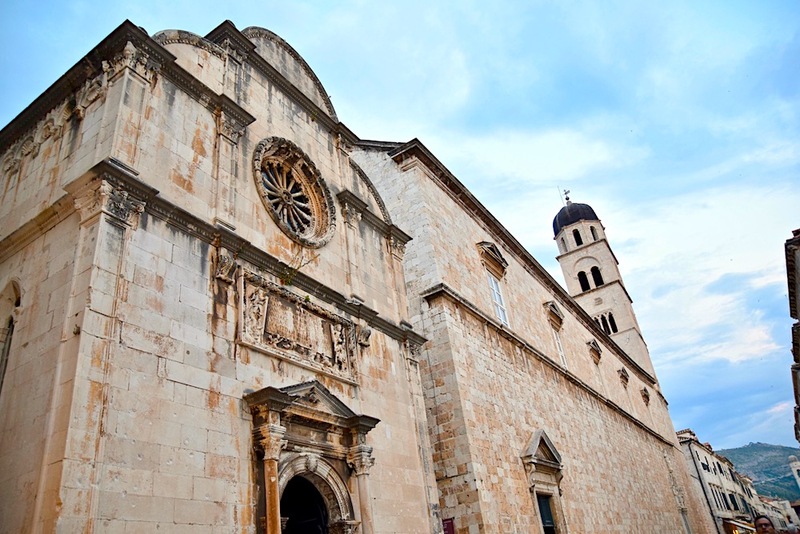 First, I wouldn't think there would be anything modern in Dubrovnik's Peljesac Peninsula. Second, not only are they producing some top notch wines in their infancy, but they've also brought in a well-regarded, young chef, to produce a pretty amazing meal to pair with their wines. Surprising still, wine consultant to the stars, Michel Rolland, is working with Saints Hill on producing top varietals that best express the region. Saints Hill has two labels and owns three vineyards, including a site in Dingac, home to the most special grapes in the area. Both the whites and the reds showed their range over a multiple hour lunch that showcased the talents of everyone involved. Saints Hill also has a few rooms if you want to stay over, which is definitely a good idea if you want to indulge. We ventured on to one more wine stop in Peljesac, Milos Vineyards. Milos is quite different than Saints Hill. Milos has been a family-run business for three generations. They are producing all organic wines, using no yeast, low sulfur and neutral Croatian oak. 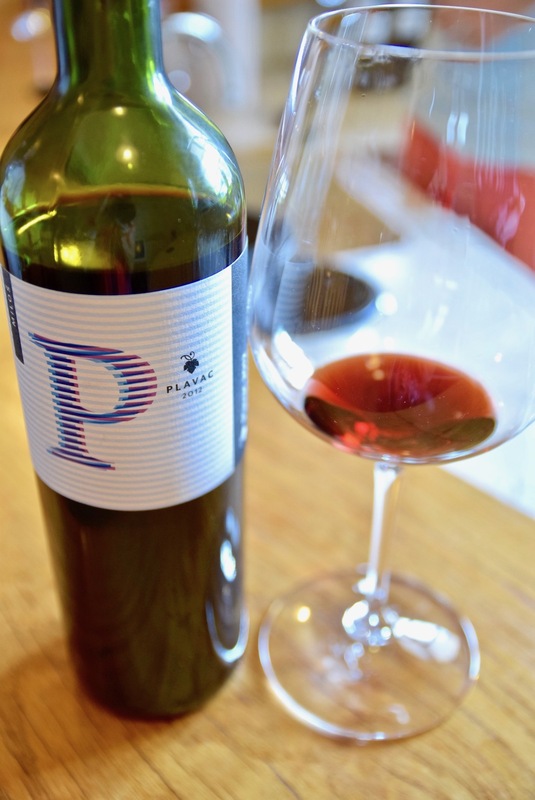 Plavac mali is the only grape you'll find at Milos, and it is the prized grape of the area, so they're only working with the best. The grapes are all picked by hand due to the steep slopes. Also interesting is that some of their wines can be found locally in Los Angeles and some restaurants like Gjelina. Lucky for me, though I'd return to Dubrovnik in heartbeat! So yeah, you need to go to Dubrovnik, especially if you like oysters and wine. It's a beautiful city with postcard perfect sites of water, hills and empty space. Let's hope it stays that way! Miss any of my Croatian adventure? Catch up here.